It seems like week 2 is more of the same from week 1. The Redskins are quickly looking like the team to make the most negative change from last season to this one. It is unclear how much RGIII is truly the problem with the overall performance, but it is clear that there are failures all over this team. One could say that the problems started before RGIII was drafted to the team. Poor choices with contracts, like the one with Albert Haynesworth and extensions of other players that barely enter the field on game days, have come back to bite the team. The monetary sanctions handed down by the league on DC and Dallas have hurt us more than we know. Then you need only to fast forward to what Washington gave up to get RGIII. Multiple #1 draft picks over three years was a huge concession, though we knew that we were getting a great player. Now we are stuck in a place where we do not have the available funds to improve the depth of the defense and position ourselves better against the league. With the offense, RGIII is rusty but the team is also not providing him great protection. Washington has traditionally been a rushing team but has been falling behind early and forced to use the passing game to show more competition. Morris struggled in the first game but showed a better spark in the second. RGIII does not look like cannot run or that he cannot get back to close to the same speed but he does not look comfortable yet after having missed preseason. The receivers have been dropping passes, even though some of them are not as accurately thrown as Griffin did last year. He will eventually recover his motion like Peyton Manning and Tom Brady after their injuries, but it is going to take time. Cousins is not proven and preseason is not enough to say that he could actually pull the offense out of its tailspin. The defense is not any better and could be considered to be much worse. Though the offense is giving up field position, the defense is quickly giving up points in the first half and forcing the team to come from behind. Kerrigan is the only one who seems to be playing inspired. The defensive backs are inexperienced and are making mistakes on the coverage. It does not help that Meriweather and Forbath were injured. Giving up 480 yards threw the air is never an acceptable outcome. So how was the game against the Packers…. It was much of the same as the first half the previous week. Green Bay was able to take advantage of 5 straight drives that ended in failure for the Redskins. The first four ended in punts after only accruing 92 total yards. The fifth drive ended in an interception. On the other side of the ball, Washington gave up a field goal and 3 touchdowns. All of this was after Green Bay accrued 353 first half yards, though they did have 1 punt and a fumble. The biggest bright spot for the Skins was the running game of Morris, who seemed to be the only player truly clicking on offense. The second half seemed similar to the second half of the Eagles game as well. 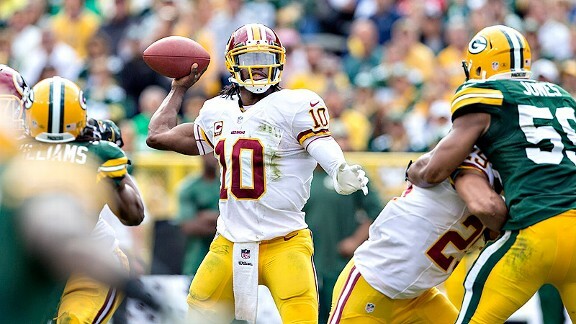 RGIII was forced to air it out and finally experienced success by the midpoint of the third quarter. Though the first drive ended in a punt and the second in a missed field goal, RGIII threw his first touchdown to Pierre Garcon and threw two additional touchdowns on the next two drives to Jordan Reed and Santana Moss. 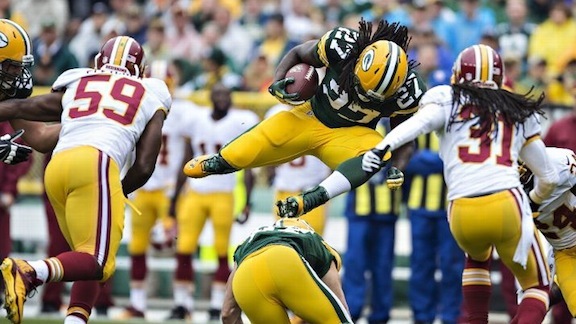 Meanwhile, Green Bay added an additional 2 touchdowns and 219 yards against the Redskins defense. The final score was 38-20 but the game was over in the first half with the lack of Washington’s momentum. Another slow start for RGIII turned into a nice set of drives in the third and fourth quarters. 3 touchdowns seems to suggest that there is not a lack of offensive capabilities but just a lack of chemistry (which can be fixed). Jordan Reed, Albert Morris, and Ryan Kerrigan look like they were ready for the start of the season. Reed is a great young talent who seems to be a great counterpart to having Fred Davis back from injury. The defense gave up 480 passing yards. There is no defense for that poor performance. It may not be RGIII injured this time, but injuries are hurting the team. Meriweather was out, but so was Forbath. John Potter was filling in and missed a field goal. It is still 3 points. The receivers are still not in sync with Griffin. Dropped passes continue to plague the team. Seven penalties for 78 yards is devastating. The Jets and Patriots played a nasty looking game, but Tom Brady was able to finish off Geno Smith’s poor second NFL performance with a win. Julio Jones got the Falcons out to an early lead with 182 yards but Atlanta almost let the Rams back into it with an equally impressive performance from Tavon Austin. The Bills decided to steal a game at the end rather than lose one at the end and send the Panthers to an 0-2 start. Peterson was not the bright spot for the Vikings this week but it was Cutler and Marshall that edged out the Vikings advance. The Dolphins defense stepped up in the second half to hold off any attempt for the Colts to get their 2nd win of the season. The Chiefs are starting to look like competitors behind Andy Reid and Alex Smith’s 2 TDs and 56 yards rushing. 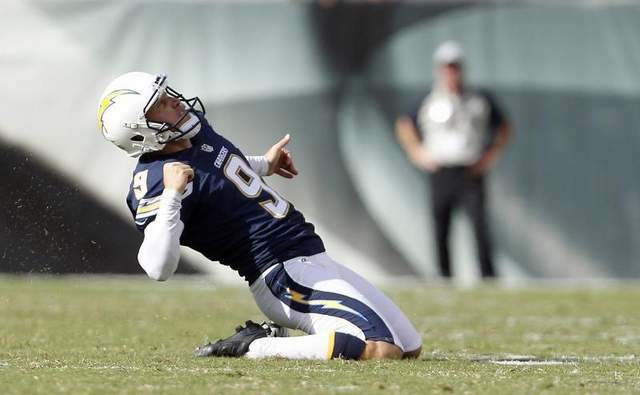 The Eagles offense started hard and fast but the Chargers stunned the Eagles on a last second field goal by Nick Novak. The Ravens defense made up for its poor 1st week performance with a punishing game against the Browns, holding them to 4 of 15 on third downs. The Texans are going to give their fans heart attacks with their come-from-behind victories, but they snuck by the Titans in overtime. The Lions offense with Megatron looked menacing but gave up 9 points in the 4th quarter to give the win to the Cardinals. The Saints had the yards but not the points this week. It did not matter as they pulled out a 2-point win against the Bucs. Jaguars fans are calling for Tim Tebow as they have failed to break 10 points for the 2nd consecutive week and fell to the rookie-led Raiders and a barrage of field goals. The Broncos embarassed Eli in the Manning Bowl with 4 interceptions and put up 41 points against the NY defense. The Seahawks made their bid for best team of the league holding the 49ers to 3 points, stealing 3 picks, and erasing Kaepernick’s impressive 1st week performance. The Steelers continue to struggle to find their rhythm on offense and lose to the rookie Gio Bernard and the Bengals.